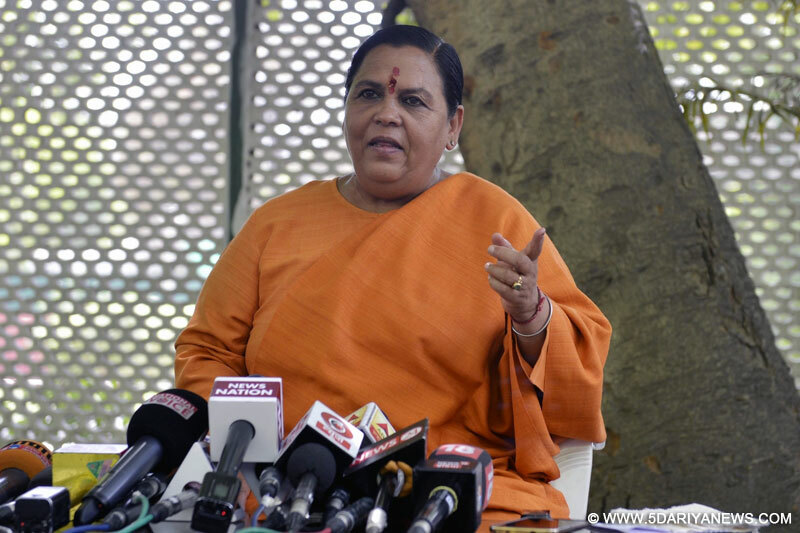 Union Minister for Water Resources, River Development and Ganga Rejuvenation Sushri Uma Bharati has appealed to spiritual institutions and organisations to join Namami Gange programme in spreading awareness about keeping the ghats clean. The Minister was addressing a gathering of stakeholders at Parmarth Niketan in Rishikesh yesterday as her ongoing Ganga Nirikshan Abhiyan entered into its last leg in Uttarakhand. Swami Chidanand , a spiritual leader was also present at the gathering. Sharing her experience of the tour so far, the Minister said “Our river Ganga has a very rich aquatic life right from Ganga Sagar up to Haridwar. This directly reflects the good quality of water in the river.” She also informed the gathering about the work that has been done so far under Namami Gange programme. Reiterating that without people’s participation, the task at hand cannot be achieved, Sushri Bharati urged the people to refrain from all practices that pollute Ganga like washing clothes by the banks of the river and dumping solid/liquid waste. During the programme, thousands of people pledged to keep river Ganga Nirmal and Aviral. Sushri Uma Bharti set out for Ganga Nirikshan Abhiyan on May 26,2017 from Ganga Sagar in West Bengal. Since then she has tirelessly travelled more than 2,000 kilometers addressing thousands of people during Ganga Chaupals,meeting officials and interacting with other stakeholders.